Who supplies liquidity in CHAPS? First things first: The Clearing House Automated Payment System (CHAPS) is the UK’s high-value payment system. 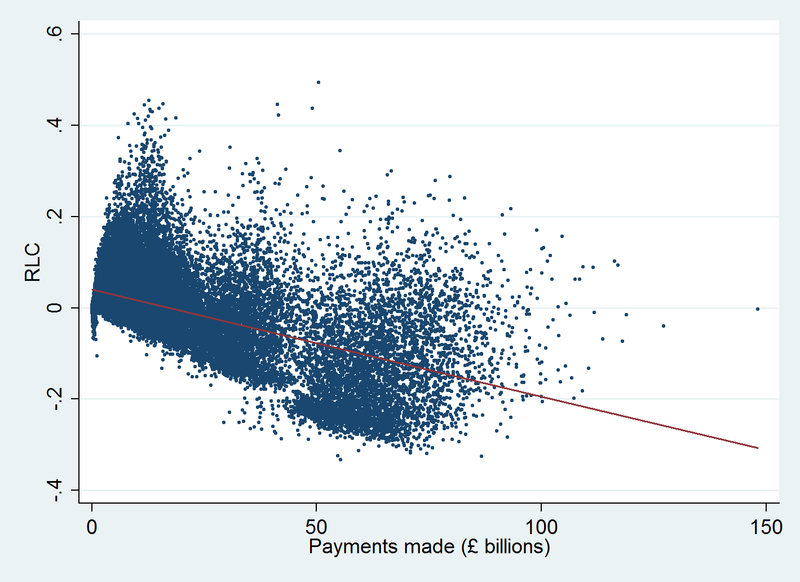 Daily payments flowing through CHAPS typically range between £200-400 billion. Major banks and other corporate entities use the system to make interbank loans as well as other large payments on behalf of their clients (e.g. house purchases). CHAPS is a gross-settlement system, meaning that all of these payments need to be prefunded; i.e. each participant must have in place the full amount to be paid either in the form of reserves or collateral. As such, CHAPS is liquidity-intensive and thus participants have a general incentive to delay their outgoing payments to the extent possible. 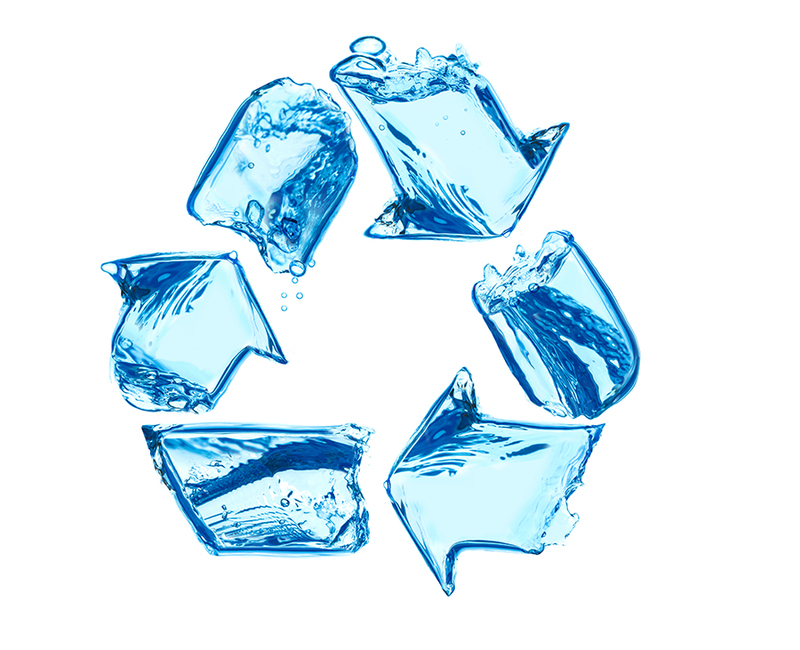 This maximises the chances of them receiving a CHAPS payment first, which they can then recycle in order to make their payments without incurring any liquidity cost. However, if all participants were to delay their payments, the system would fall into gridlock. Luckily, this is not the case in CHAPS: in a previous Bank Underground blogpost we have shown that CHAPS participants recycle a high fraction of outgoing payments and have argued that this is largely because of throughput rules that require banks to make a certain fraction of their daily payments by given points of time during the day. These rules help bring about a degree of time coordination in payments and therefore payment recycling. Nevertheless, participants retain substantial flexibility in choosing the timing of their payments, and for payment recycling to happen some participants still need to provide liquidity to the system by making the first payments. But which ones? where “P” is the gross amount of payments made and “LS” is the liquidity supplied by participant i on day s. This, in turn, is defined as the daily maximum cumulative amount of net payments made, i.e. the maximum amount of own liquidity that a CHAPS participant is forced to commit on any given day to make its payments (Chart 1 illustrates this). 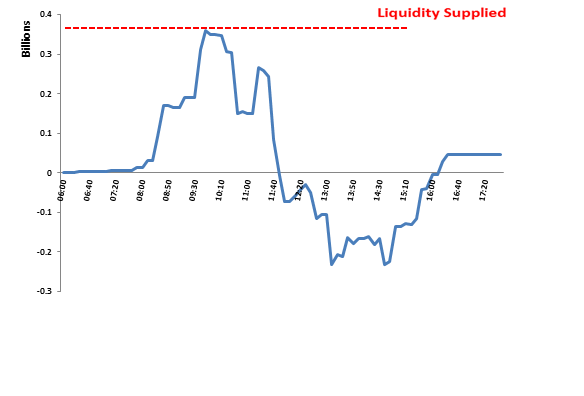 Chart 1: Illustration of the amount of liquidity supplied by a given CHAPS participant on a given day. The blue line shows the cumulative amount of payments made minus the cumulative amount of payments received as a function of the time of the day. The maximum of this net (red dotted line) is the amount of liquidity supplied (“LS”) for that day. Thus, if a participant’s share of total supplied liquidity is larger than its share of total payments made, this participant is a “contributor” of liquidity (i.e. RLC > 0); otherwise it is a “consumer” (i.e. RLC < 0). Using data on CHAPS payments, we calculate this measure for each participant and each day over a ten-year period (Jan 2006-Feb 2016). Chart 2 shows that participants’ degree of relative liquidity contribution varies over time and across participants. 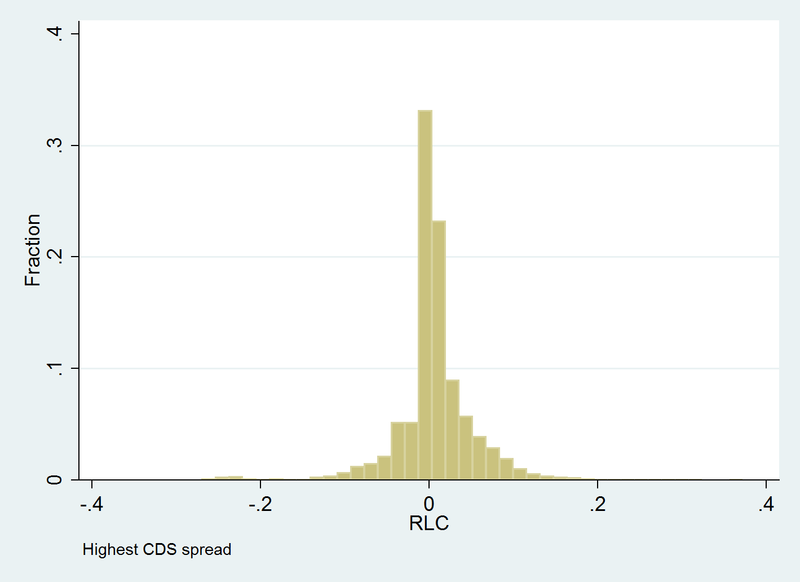 The majority of participants alternate between relative liquidity consumption and provision over time and for the majority of participants the RLC measure is on average positive, suggesting that most participants are liquidity providers. There are at least three participants however who tend to proportionally supply less liquidity than others. Chart 2: Daily values (blue dots) and their time-series averages (red dots) of relative liquidity contribution (“RLC”) across CHAPS participants. Positive (negative) values indicate contribution to (consumption of) liquidity. Jan 2006 – Feb 2016. This cross-sectional and time variability in relative liquidity supply suggests that it could be driven by structural reasons (e.g. firm size, business model, etc.) and/or strategic behavior on behalf of participants (e.g. concerns about credit risk). To get a sense of what might be driving liquidity provision, we show, in Chart 3, the unconditional relationship, across participants and over time, between the RLC measure and the amount of payments made. In line with previous research, the chart shows that larger payments are associated with lower liquidity supply (RLC < 0). Now, given that a participant’s total daily payments are largely a function of its business model, the chart also suggests that structural factors play an important role in explaining the cross-sectional variability in liquidity supply. Such structural factors may include the number and type of clients on whose behalf CHAPS participants send or receive payments and various market conventions associated with overnight money market transactions as discussed here. However, as Chart 2 shows, we are still left with a fair amount of variation in liquidity supply/consumption which is unlikely to be explained by time-invariant, participant-specific characteristics such as a participant’s business model. In other words, why is it that CHAPS participants fluctuate between liquidity supply and consumption so much over time? We suspect that this may be partly because of how they react to the perceived riskiness of their counterparties as it changes over time. Previous research has shown that CHAPS banks delayed their payments toward riskier banks in the wake of Lehman’s default, in an attempt to net them with incoming payments from these riskier banks and thus avoid realising a loss in case the risky banks defaulted during the day and prior to having made their CHAPS payments. 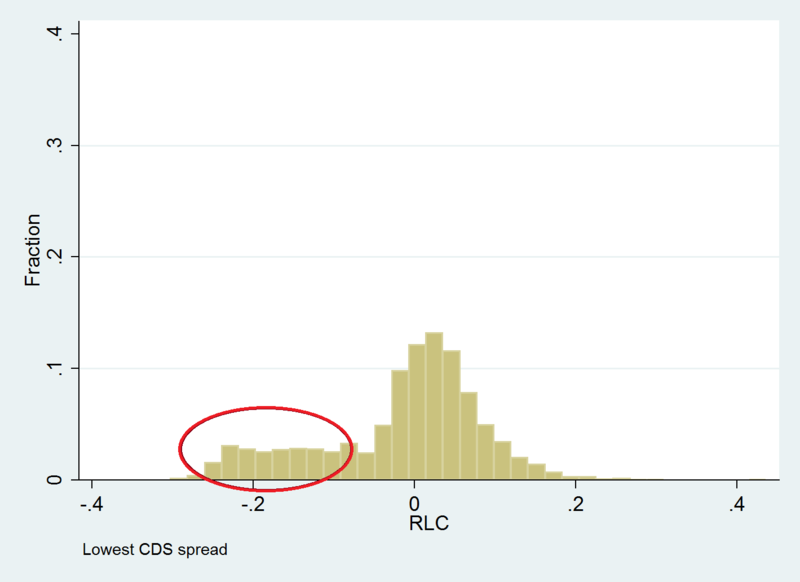 To see if any such effects are at play, we split the participant-day “RLC” observations in two groups, based on participant-day riskiness, as captured by the price of 5-year CDS contracts. 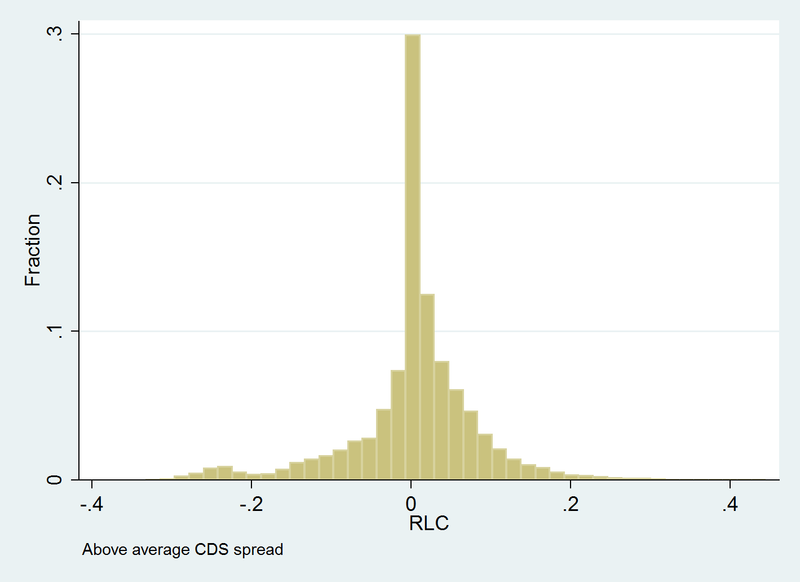 In Chart 4 we plot the frequency distributions of the “RLC” measure for those participant-days with above and below average CDS spreads, which in our sample is about 105bps. 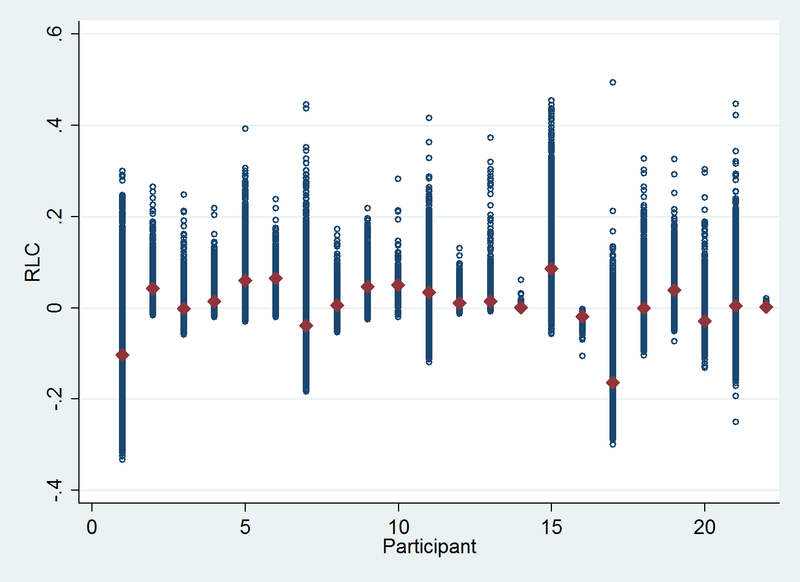 One can see that the frequency distribution of the less risky participant-days has a fatter left tail, suggesting that when CHAPS participants are in better shape, they tend to consume more (or supply less) liquidity in relative terms. 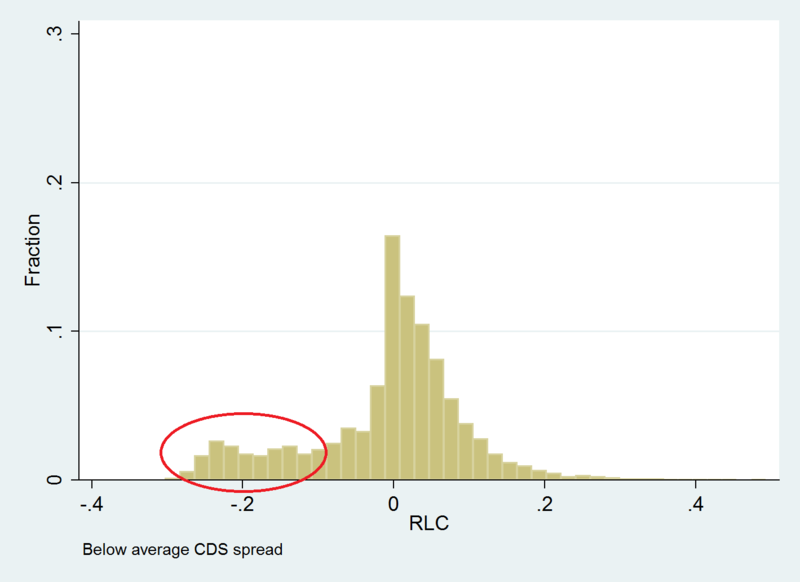 Furthermore, this is primarily driven by the riskier and least risky (as per CDS spreads) participant-days (Chart 5). Importantly, these results persist when one properly controls for unobservable, individual-specific, effects in a regression setup. Thus, it appears that liquidity provision varies over time with participant riskiness and in particular it appears that participants with elevated (reduced) risk tend to supply proportionally more (less) liquidity. This is consistent with healthier participants delaying payments to those perceived as risky, thus depriving the latter of recyclable liquidity and forcing them to commit more of their own liquidity. So why is this all important? For some (smaller) participants, this could be an additional source of liquidity risk, particularly when they are (or are perceived to be) under stress. Lehman Brothers is a case in point: when it defaulted on September 15, 2008, $16 billion of its $18 billion liquidity buffer had to be pledged with custodian banks to facilitate access to payment and settlement systems, precisely because these custodians were reluctant to extend Lehman intraday credit (by making payments to it). Thus, when faced with an outflow of $4.5 billion on September 15, it was forced to file for bankruptcy…. Evangelos Benos works in the Bank’s Financial Markets Infrastructure Division and Christina Fritz works in the Bank’s UK Deposit Taker Supervision Divsion. Previous Post Pumping Iron: How can metals prices help predict global growth? as relatively weak have to supply liquidity, then something must have gone wrong. Can you say what, please, or else explain what I have misunderstood?